Okay, so it was a few months back now, but Amazon/LoveFilm were running a Pilot season where you could stream a bunch of new 20-30 minute comedy shorts, then submit your feedback and influence which ones get made into a full season. Probably the most high-profile or most recognizable show from the list was the Zombieland pilot - a 29 minute comedy based on the movie staring Woody Harrelson, Jesse Eisenberg, Emma Stone & Abigail Breslin. Sadly none of those stars appear in this pilot. So here are are some of my thoughts on the hopeful show. Firstly, let me just say I loved the film. The opening 5 mins of the TV show are brilliant and just the sort of humour you would expect from a Zombieland TV Series. Sadly after this it goes a bit "Meh". The main trouble with the show is that it is set AFTER the film with the same characters but played by relatively unknown and slightly generic actors. The show already feels a bit redundant - especially considering there is already a second film due; it just seems a bit pointless to have a TV show with the same characters. The film had such a strong cast of brilliant actors, that this show is always going to look a bit weak in comparison, which is a shame. In my view they should have done it as a complete spin-off with all new characters and story but set in the same universe; perhaps they could even hear stories about the characters from the film or maybe even meet them in an occasional cameo appearance. 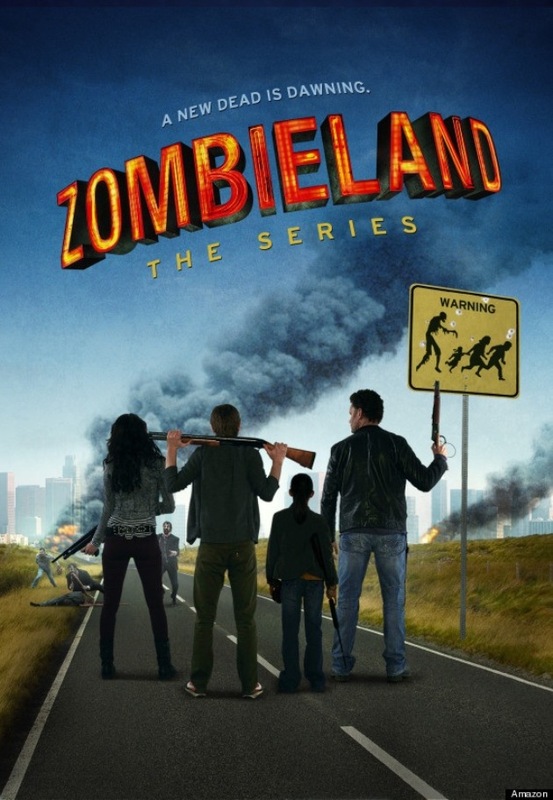 The show is already redundant - isn't Zombieland 2 already in the works? Why do we need a TV Show with the exact same characters as well? I loved the film, The characters were played by fantastic actors - you can never stand a chance to produce something like this for TV as the actors are not in the same league. It doesn't make any sense to have the same characters as the film played by different actors. This should have been a spin-off show with completely different characters and a completely different story but set in the same universe. The writing could be better - I didn't like the VJ jokes running throughout the episode, it comes across as humour for school boys. I don't really buy into the idea of the woman's voice on the Sat-Nav system... In a real Zombie outbreak, why would she still be working in the call centre and be able to answer them whenever they call. Not sure about this - she was too chirpy - surely everyone she knows must be dead - if not, why isn't she with them? I'm not totally against the idea of a Zombieland TV show - I just don't want it like this. As for the Amazon/LoveFilm Comedy Pilots idea, I thought this was a great way to try out new shows on television audiences and I hope they use this system more often. I watched a couple of other shows and was gladly more upbeat about some of the others that looked more promising. If you're looking to become a LoveFilm member, check my other post where I have a promo code that will give you 2 Months FREE - this is the best deal they offer and is valid till the end of November.